Seaham based MetroMail has been in business for almost 30 years, which means they have gained vast experience in the printing and mailing world. Their data handling facilities are amongst the biggest in the UK. Last year, they mailed almost 400 million items. MetroMail really is a one stop shop when it comes to printing, enclosing and delivering letters, magazines, promotional material, bills, reminders and more. Their entire operation is under one roof which reduces the amount of time required to complete any job and makes their pricing very competitive. MetroMail’s business strategy is based around ‘communications solutions’, the company now offer customers multi media campaigns comprising of SMS, e-mail, transactional and direct mail. Additionally, the company have grown their capacity to produce personalised mailings which helps to increase customer engagement, creating a stronger call to action. For example, imagine you run a holiday company and want to send out next season’s brochure. Many brochures are massive. They’re expensive to print and expensive to post and you already know, from your database, that a large chunk of the holidays and destinations featured in the brochure will not appeal to a particular customer. So why not only send them the parts of interest to them? And why not personalise it? MetroMail’s Innovations department works with customers to create an interesting mail piece which is different for every customer in the database as they know they all have different wants and needs. The format of the mailer and the content can both be varied and each item personalised to the customer with their name, destinations they may have looked at on the company website, targeted discount codes etc. Anything is possible, and MetroMail aim to fulfil their vision to create ‘innovative mailing solutions’, whilst saving clients’ money and increasing their satisfaction with the brand, producing better results through targeted mailings. Additionally, MetroMail’s Data Research and Development department offer clients one of the most valuable services. They not only cleanse and process data, they are the driving force behind personalised campaigns. Extracting relevant data from customer’s databases and matching customer personality traits and preferences with products to capture their attention and create something they will find useful. 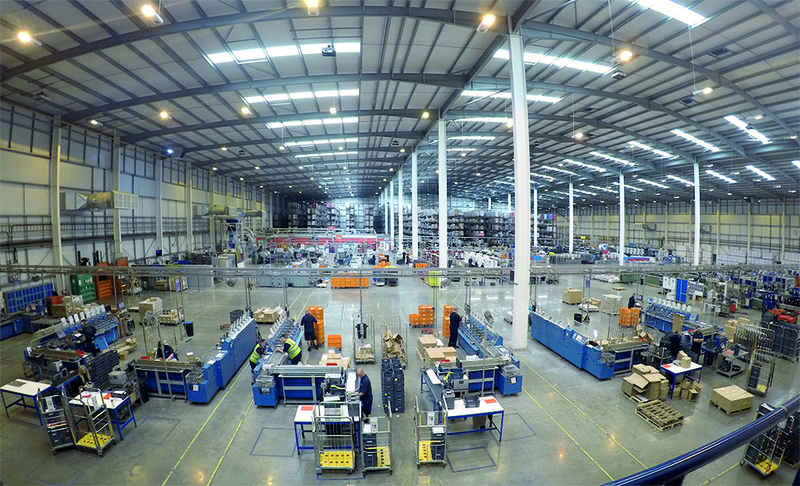 MetroMail is part of the Saga Group of companies which has the financial support of a £900m a year Plc. MetroMail however, operates as a standalone part of Saga which means they can provide solutions for any company, small or large. As well as printing and distributing material for Saga, MetroMail works closely with other major companies such as: The AA, JD Williams, Consumer Refund Service and Freeman Grattan to name a few. They operate within many market sectors including: Insurance, Mail Order, Retail, Financial, Public Sector, Travel, Automotive, Medical, Office & Home Computing and Entertainment. MetroMail is also accredited to ISO 27001, Information Security Management, meaning they can be trusted with sensitive documents such as bills and invoices. Their Transactional department produce and insert documents with 100% integrity, using 2D barcode technology, ensuring every sheet is accounted for. MetroMail have created a niche in the market place as no other company offers the exact same breadth of services that they do. These are busy times for MetroMail. Their success in attracting new customers has seen a 44% rise in business from outside the Saga Group. This was a key aim of recently appointed MD Chris Pygall, who has been leading a change of strategy within the company. So, the bottom line is this. If you need to promote your business, speak to MetroMail and they will explain how you can be clever in reaching the right people while increasing your ROI. Contact them today via email: Contact Us or give them a call in Seaham on: 0191 301 1700.